Click here to learn more about about Dr. Smith! Keith Smith DC. has practiced as a chiropractor in Auburn, CA for over "33" years (July 1986 - July 2019). He's proud to be your preferred chiropractor in Auburn. 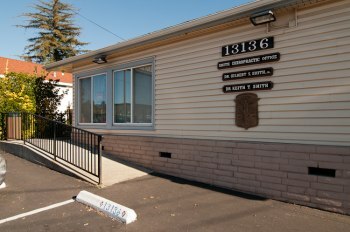 His clinic located at 13136 Lincoln Way in Auburn, CA. Has provided family chiropractic health care for over 57 years (March 1962 - March 2019). 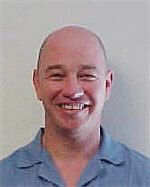 Whether you suffer from back, neck, head or joint pain, Keith Smith DC. can help you get past your pain and on with your life! Chiropractic is a safe and effective form of healing that works with your body so that it can heal itself. Even if you've been struggling with chronic pain, Keith Smith DC. can help you to recover a higher quality of life with less or even no pain. When combined with massage therapy, also provided by Smith Chiropractic, your pain can be aggressively addressed by state-of-the-art techniques. We also provide massage in Auburn, CA to compliment our chiropractic adjustments and accelerate your healing. Keith Smith DC. is a chiropractor who helps people of all ages including newborns. Simply call (530) 885-8205 to schedule an appointment or a massage.